For your convenience offices can be joined to form Suites for greater space. 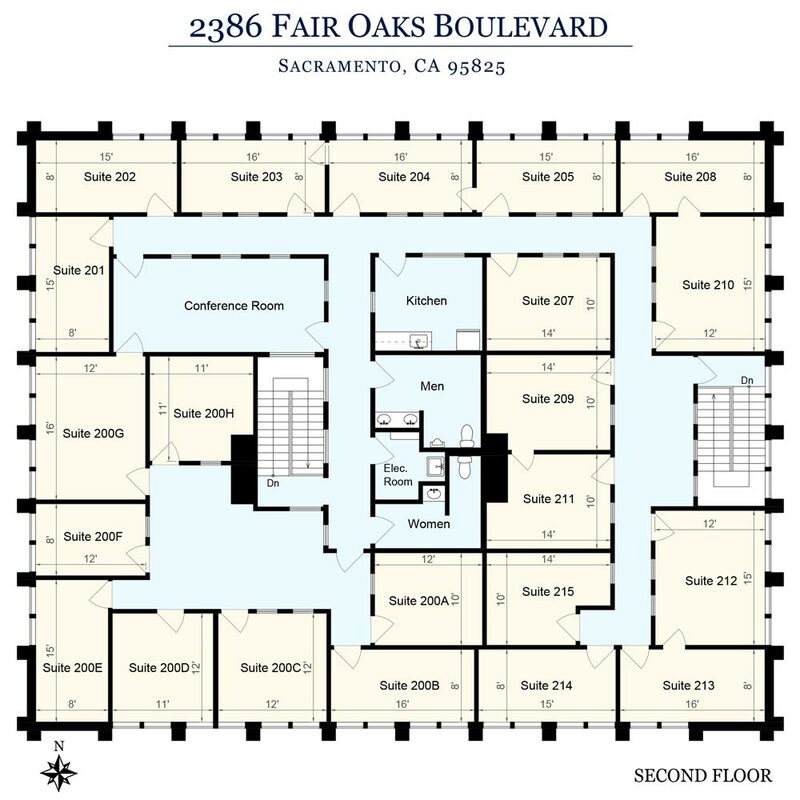 The Sierra Oaks Executive Offices Conference rooms are available to be booked by the hour or for full days. Located within a close-in suburban area just east of Howe Avenue on Fair Oaks Boulevard; just two minutes north of U.S. Highway 50 and seven minutes from downtown. 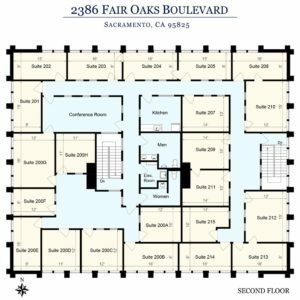 Conveniently located within Sacramento for business, our executive suites are prestigious with a tranquil, attractively landscaped off-street setting. The professional and efficient staff of Sierra Oaks Executive Offices will greet your clients on your behalf and answer your telephone with your preferred greeting during normal business hours. We provide you with full 24 hour per day, 7 day per week access to your office so that you have the flexibility you need to operate your business successfully. Amenities included within your office rent are a communal Receptionist, message taking, parking, daily janitorial, coffee & tea, break-room facilities, a telephone handset and allocated use of the conference rooms. The Reception area, The Lobby and The Conference Room Facilities. High capacity copiers, FAX, postage & shipping, voice mail, general secretarial and other services are available as needed at reasonable rates. The immediate neighborhood offers basic to high-end restaurants and shopping. 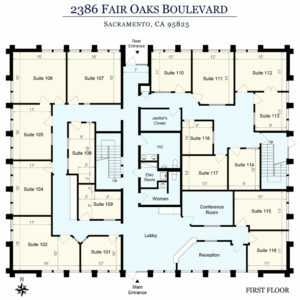 If you have housing needs then the residential offerings nearby range from short stay hotels to some of the most exclusive homes in Sacramento. Read more on our Nearby Facilities Page. Does your business have special requirements? Contact our friendly staff and let us know what you need – we may be able to customize a program for you. 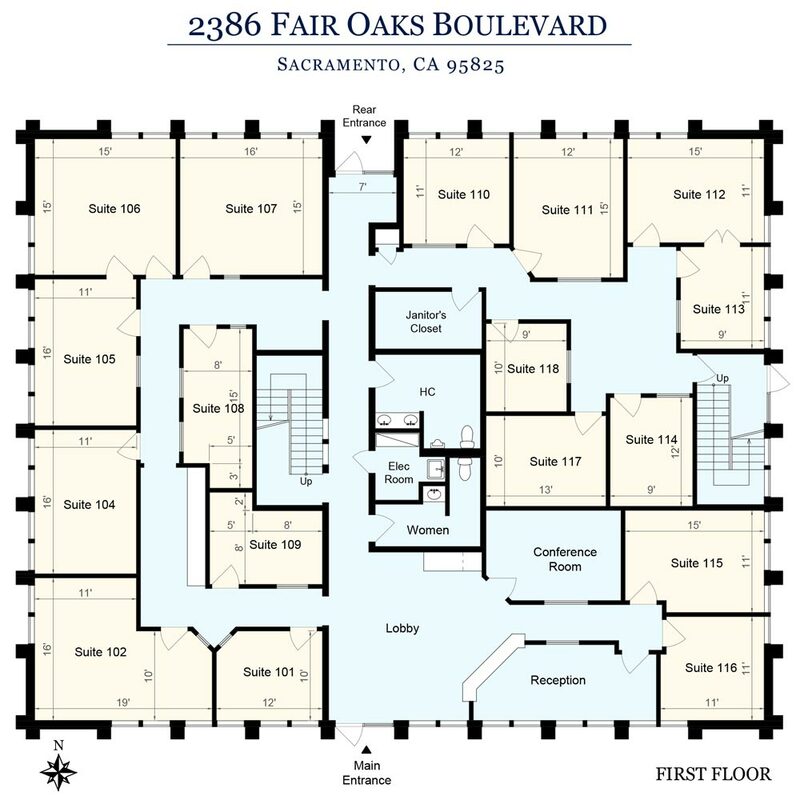 Call today on (916) 481 5705 or Contact Us for a brochure or an application.